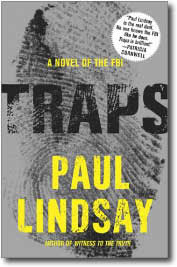 Banter between lead characters, a look at office politics and FBI procedures and the discovery of an unlikely hero all make Traps, the latest novel by FBI veteran Paul Lindsay, an enjoyable read. FBI explosives expert Jack Kincade is a loser in many respects, but there is a sense of decency about him. Ben Alton, an agent on light duty, lives for the FBI, working to prove himself worthy each day. Kincade and Alton rub each other the wrong way, yet each finds something admirable in the other. Conrad Ziven's daughter Leah was kidnapped three years ago. The FBI let the case get cold. Ziven devises and executes a plan to get the FBI's attention: he is the only one with the code to the 800-pound bomb he planted under a jail that houses 15,000 prisoners. His demands to the Feds are simple: find Leah and the bomb will be disarmed. Kincade becomes the central agent in the Ziven case. Kincade supports his poker and drinking habit by "trapping" bank night depository slots. He is now the agent in charge of the recent flurry of bank robberies, and isn't concerned with getting caught. Alton, an amputee due to cancer, is assigned the bank robbery cases that have gone nowhere, while Kincade moves to the Ziven case. Alton is sent to the seedy motel where Kincade lives with his border collie to get some background on the depository robberies. Before either of them knows it, they are working together on the Ziven case. Kincade and Alton solve the cold Ziven case quickly and the bomb is disarmed. It turns out Leah died three years ago, and her killer was murdered a few months later. Kincade is thrilled to go back to his bank trapping and poker games, but Alton has a nagging thought that the Ziven case couldn't have been one man working alone. 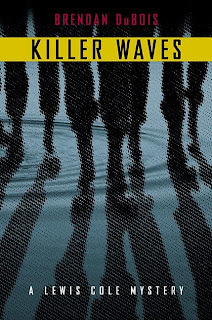 Together with Kincade, Alton discovers that Leah's psychopathic killer is still very much alive and has an enormous grudge against the FBI. Kincade and Alton know who the psychopath is, but he has covered his tracks well and forcing him into a corner leads to a suspenseful, nail-biting countdown to save one of their daughters, who is now the latest kidnapping victim. Paul Lindsay has written four previous books subtitled "A Novel of the FBI:" Witness to the Truth, Codename: Gentkill and Freedom to Kill feature Detroit FBI Agent Mike Devlin. The Fuhrer's Reserve and Traps are breaks from the series character. Lindsay lives on the New Hampshire seacoast with his wife. If I hadn't been asked to review Bubbles in Trouble I wouldn't have considered reading it. The title alone turned me off. The book jacket is pink, blue and yellow with a pair of spike-heeled leopard print shoes and a water pistol emitting yellow bubbles. My first thought was that it was a book about a monkey. When I ran the title by two male friends they assumed it was about a stripper. As it turns out, Bubbles in Trouble is good for laughs, entertaining characters and well-worked story lines. Vermont novelist Sarah Strohmeyer weaves a good mystery. The whodunits, all three of them, had me guessing until the very end. But the character names distracted me from the mysteries. Bubbles Yablonsky? Who would name a child Bubbles? Bubbles has dealings with Nimrod Oggledorp, a store clerk. Bubbles' man of the hour is Steve Stiletto. Her ex-husband is Dan the Man, who now goes by the name Chip. Her mother is LuLu, who lusts after Fast Car. There is a definite Janet Evanovich feel to Bubbles in Trouble, right down to the prominence of TastyKakes. Strohmeyer mentions on her Web site that she once interviewed Evanovich and said she'd like to write similar books. The title for the first Bubbles novel, Bubbles Unbound, came from Evanovich. Bubbles is a life-loving character with a big heart and determination to get the job done. She is beautician extraordinaire at the House of Beauty in Lehigh, Pa. She is very proud of her bleached-blonde big hair and her ability to gossip with the best of them. Bubbles is also supremely dedicated to makeup, high heels, a Valentine-red Super Wonderbra, and Saran-Wrap-tight tank tops and sweaters. She drives an old Camaro, her dream car. Bubbles works part time as a newspaper reporter, which is what sends her off in search of answers in Bubbles in Trouble. The story is set mostly in Amish country. To read about Bubbles giving up her clothes, makeup, electricity and running water for undercover work is entertaining to the point of out-loud laughter. Furthermore, she is the first character I have come across whose IQ increases to genius level after ingesting marijuana. At the least, I expected the book would be a quick read and mildly entertaining. 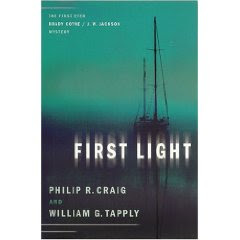 At the most I hoped that I was completely wrong with my first impressions and I would be turned on to a new novelist. I'm not persuaded to go back and read the first "Bubbles" book, but I'll keep it in mind if my library runs short. Sarah Strohmeyer is a former journalist who grew up in Pennsylvania and now lives near Montpelier, Vt., with her family. Her first Bubbles book, Bubbles Unbound, won the Agatha Award. Do intelligent people have better lives? Do more opportunities come their way? Do they get into better schools? If you could give your child straight white teeth, would you? If your child needed plastic surgery to be accepted on the playground, would you have it done? If your child were falling behind in the classroom, would you do anything to help him become smarter? Gray Matter is a page-turner by Northeastern University professor Gary Braver that asks these questions. I literally could not put this book down until I was finished. Rachel Whitman has everything going for her: she's young, beautiful, and wants for nothing. Her husband is CEO of his own company. They've just moved to an upscale Boston suburb with their 6-year-old son Dylan. Dylan is enrolled in DellKids, a kindergarten on the grounds of the Dells Country Club. Dylan isn't having an easy time. He's not as quick to learn as the other kids and is harassed by the star pupil. His IQ is below average. Rachel struggles with the fact that her child has a learning disability and, due to past use of a drug that's now known to be dangerous, she may be to blame for his condition. Not all is bad with Dylan. He may pronounce "Mrs. MacPhearson's Jaguar" as "Mrs. M'Phearson Jagger," but he has a fantastic singing voice and can remember songs as soon as he hears them. Still, Rachel worries that if he's already behind, he'll be picked on more as he gets older and that he won't be able to follow in his father's footsteps. Then Rachel learns of an "enhancement" procedure that can increase a child's IQ threefold. Should she and her husband put up all their money now so that Dylan will have a chance at a successful life? As Rachel gathers information, she questions whether the procedure will be worth it to Dylan in the long run. The decision has to be made soon; the doctor won't perform the surgery if the child is more than 6 and a half years old. 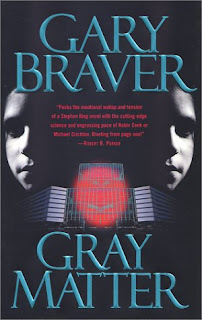 Gray Matter is a must read for any fan of medical thrillers, mysteries, science fiction, or just damn good writing. Gary Braver is the pen name for Gary Goshgarian. 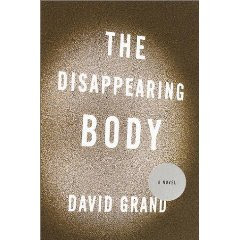 His first thriller, Elixir, about finding the fountain of youth, was published in 2001. He teaches creative writing and popular culture, and lives with his wife and two sons outside Boston.